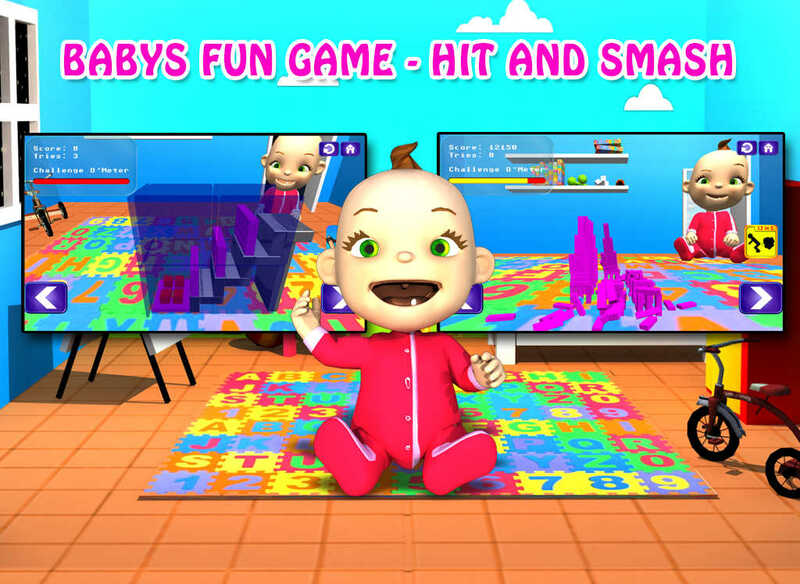 Play this amazing bricks puzzle game in the baby’s room. The objective of the game is to destroy all the brick constructions that have been placed in the room. Aim at a strategic point of the piled up glass blocks and shoot the red balls towards the construction. Try to throw down as many pieces as you can to establish your high score. If you perform well the baby will be happy about your result. Give it a shot! Play this amazing puzzle/ strategy game. Advise: Try to hit the explosive blocks to blow up the brick buildings. If you like the game please rate it with five stars in the store.